An inside look of Bomb Wings and Rice’s menu. Bomb Wings and Rice, a new restaurant in Hamden, opened its doors March 16 and gives a margin of every purchase to an organization called Change the Play, making it much more than your typical wing spot. 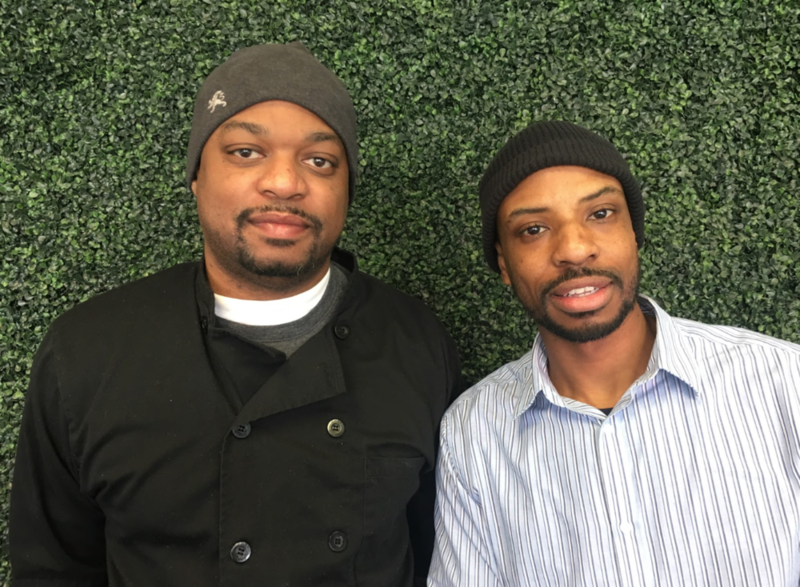 Owned by Jason Teal, 39, and his partners Ray Guilbaut and chef Stephen Ross, Bomb follows a social business model that emphasizes a contribution to the surrounding society. Teal built the restaurant so that a portion of every purchase goes to an organization called Change the Play, a nonprofit organization that strives to help at-risk youth by creating programs around education, healthy lifestyle choices and identity. The idea was partly inspired by a friend of Teal’s who was running a nonprofit in Virginia that fed 2800 children a day. As a former member of the NAACP, Teal realized he could tackle issues of at-risk youth in his community more directly. He decided to launch his own nonprofit version of the program in Connecticut in 2013. He founded Change the Play, a nonprofit organization that strives to help at-risk youth by creating programs around education, healthy lifestyle choices and identity. Chef Stephen Ross, left, and co-owner Jason Teal, right. That is when Teal reached out to Stephen Ross, a friend and board member of Change the Play. Ross also happened to be well-known in the New Haven culinary scene for his work at restaurants such as Cast Iron Soul and Anchor Spa. Together with Ray Guilbaut, they conceived the idea of a fried rice bar with wings. Teal is planning a grand opening for May 1, 2019 and has much more in store for the restaurant, located at 2373 Whitney Ave., for the future.